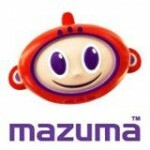 At Mazuma Mobile, we offer you cash for your old mobile phones which we then recycle. There are many benefits to recycling your mobile phone rather than selling them on sites such as Ebay or sending them to landfill. When you are done with your old mobile phone, recycling for cash is the most environmentally friendly option available to you. Mobile phones contain many harmful chemicals including lead and Beryllium. When you send your phone to landfill, these chemicals are released into the atmosphere and, more often than not, leak into the ground. This can lead to the death of nearby wildlife and can even poison human drinking water in some circumstances. If you sell your mobile to be recycled, you will be taking positive action to stop this from happening. If you recycle your mobile phone and it is in good condition, you could earn some cash. You can earn up to £150 for old mobile phones. So if you need some extra cash and have and old mobile lying around, do some good and recycle it. Selling your mobile phone to be recycled is much simpler than selling it commercially, especially if it is an old mobile phone. Listing phones on Ebay can be time consuming and you will need to pay fees. You will also have to pay a percentage of the selling price in fees. Selling with Mazuma Mobile takes little time and you keep all of the profits for yourself.